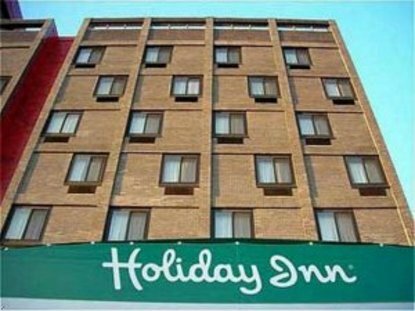 The Holiday Inn LaGuardia Airport is the preferred hotel of the New York Mets & is the only hotel within walking distance to Shea Stadium, the USTA Billie Jean King National Tennis Center & Flushing Meadows Corona Park. We are conveniently located 5 blocks away from the #7 train leading directly to Manhattan &reg Grand Central Station & Times Square with access to great shopping, major event arenas, internationally renowned dining, sightseeing, Broadway shows, museums and art galleries. Enjoy our famous Pine Restaurant of Queens for breakfast, lunch & dinner, featuring family style Italian cuisine, or relax for happy hour & late night snacks at Pine Lounge with a wide array of sports memorabilia & great views of Shea Stadium. For your convenience, we offer 24 hr. complimentary shuttle to & from LaGuardia Airport & free parking for in house guests. Major highways & interstates are easily accessible connect us to Queens, Long Island, Manhattan, Brooklyn & the Bronx. Whether you stay for business or pleasure, we are here to accommodate your every need. Our warm & friendly associates at the Holiday Inn LaGuardia Airport look forward to providing you with the customer service you deserve at your home, away from home. This hotel is committed to providing accessible facilities under the American Disabilities Act. If your accessibility needs are not met, please contact the Hotel Manager on Duty. Should you require additional information regarding accessible facilities for guests with disabilities, please call 1-800-Holiday (U.S. and Canada) or contact the hotel directly. For the hearing impaired, TDD service is available at 1-800-238-5544 within the U.S. and Canada.